Sedum is usually cultivated as a garden plants mainly for their foliage and brightly coloured flowers. Species vary adapting to individual environments. It is thought that the leaves from nearly all the stonecrop family are edible. I’ve not tried them in my salad personally, but will give it a go one day!! Reflexum ‘stone orpine’, ‘crooked yellow stonecrop’ is sometimes used as a salad leaf in many parts of Europe. 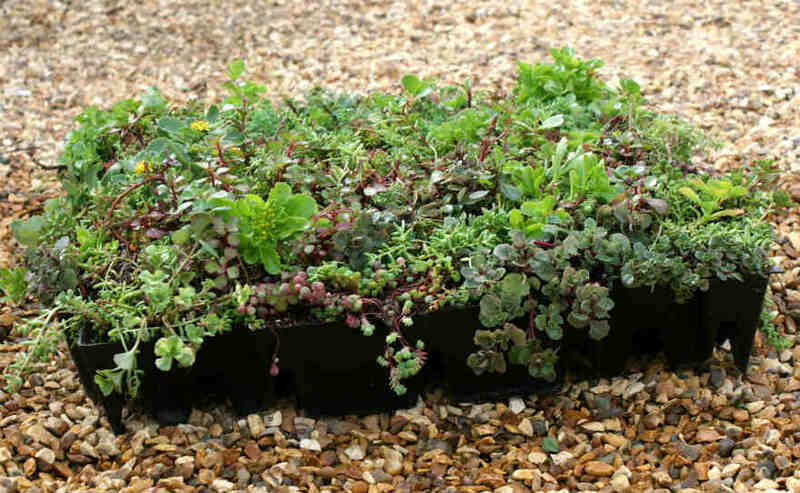 Sedum Green Roof offer these as plug plants so if you want to give it a go, go to our online shop! (about to appear!!) Sedum Diversions (Spreading stonecrop). The plant is also used by Haida, Nisga and Nass Valley so if it’s good enough for them… Other sedums have been used as medicines over the years including: Sedum Acre which was used for Epilepsy and skin disease. I wouldn’t jump up on your green roof and start eating it and rubbing sedum on your arms so do your own research first!! Jim Blundell, Project Manager Sedum Green Roof.